Batik - the dye style that has become synonymous with our brand. It was first featured in our collection of incredibly popular hand dyed ENSO headbands and, after an unexpected turn of events, became the focal point of our brand new, already-quick-selling Kids Pants. In actuality Batik dyeing is more art than science and you never know what you're going to get until the fabric has dried. We do our dyeing in one of the world's only solar powered dye houses in sunny California, working alongside a team of brilliant Batik artists that meticulously hand dye every canvas and pair of Kids Pants we make. We try to get every batch perfect but, as with any art, sometimes the result is something completely unexpected. That's art and mistakes like those are how we ended up making Kids Pants in the first place. We work with this the material every day and are still absolutely enthralled by the beauty of it. What gets me is the thought that not only is this magnificent piece - that can never be exactly recreated - going to be sweated on, rained on, lost then found, celebrated in, cried in, laughed in, danced in and loved in by 24 perfect strangers around the world but that those strangers each hold a piece to a puzzle that, unbeknownst to them, binds them one to another. I imagine 24 people representing every continent, race, religion and orientation gathering one day to piece this original canvas back together, sharing their unique stories and toasting to the common threads that bind us all. Or at the very least: 24 happy customers around the world that are stoked to have found a piece of fashion as wondrously unique as themselves. 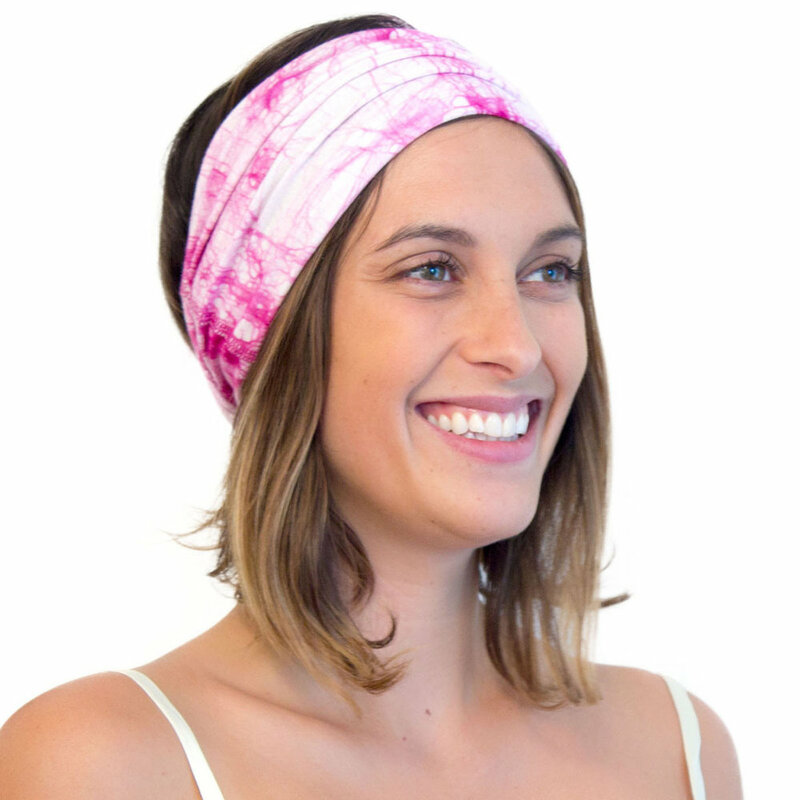 If you want to own a piece of this magic and support fashion done right in the process, you can find our organic cotton Batik fabric in our Men's ENSO Batik Headbands, Women's ENSO Batik Headbands and ridiculously cute Kids Pants.